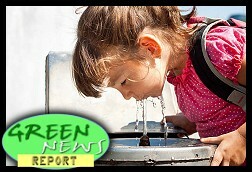 " 'Green News Report' - July 19, 2018	"
A 2005 memorandum signed by the Environmental Protection Agency, the Department of Education and the Centers for Disease Control and Prevention provides guidance to schools, including a testing protocol and suggestions for disseminating results, educating the school community about the risks and health effects of exposure and what actions should be taken to correct the problem. But there are still major information gaps, the report says, and no federal law that requires schools to test for lead. [S]chool districts serving 12 million children aren’t testing for lead at all. If 37 percent of those districts had lead contamination, that would mean 4.4 million children at risk of lead exposure. According to the EPA, there are over 1,000 coal ash disposal sites across the country, many of them constructed in the 1950s and 1960s, well before any sort of regulations..."Millions of tons of industrial waste directly on the banks of major drinking water reservoirs that serve hundreds of thousands of people," he said, "that's a recipe for disaster." [T]he former energy industry lobbyist may be able to remain in charge of rolling back regulations on climate change and auto emissions for the rest of Trump’s four-year term without Senate confirmation, thanks to exceptions in a law originally designed to prevent abuse. The planet is headed for a top 5 warmest year despite the lack of an El Niño event in the tropical Pacific Ocean, which would help boost temperatures in addition to human-caused global warming. Although NOAA’s just-released analysis differs somewhat, both show that June 2018 continued the long-term global warming trend. A spokesman for Seattle Public Utilities confirmed to NPR that the city's new plastic straw ban does include a waiver allowing restaurants to give disposable, flexible plastic straws to customers who need them for physical or medical reasons. « PREVIOUS STORY "Birthday? Boy." "'Green News Report' - July 19, 2018"